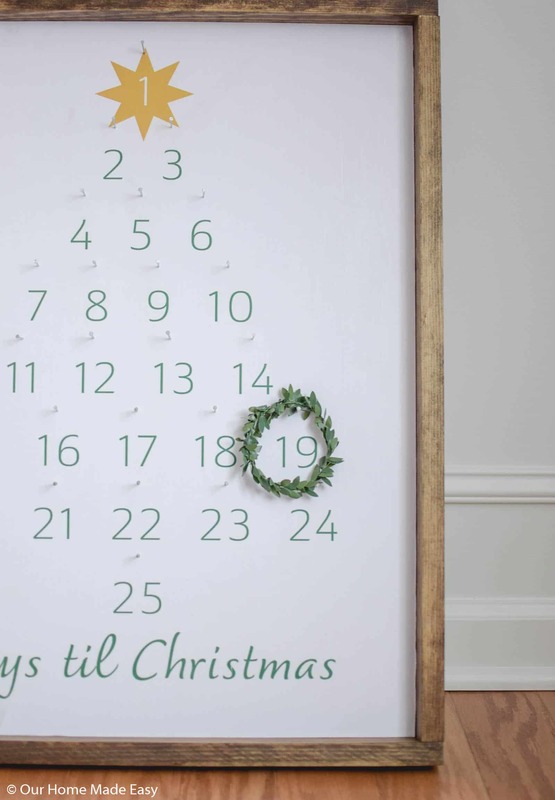 Make this easy DIY Advent Calendar in one afternoon! No special crafting tools necessary. Simply print off your calendar and frame it in! Can you believe that we are already thinking about Christmas? As Jordan & I were bringing up our Christmas totes we were talking about how we didn’t have an advent calendar for the kids. Don’t get me wrong, I’m a total sucker for the chocolate windows of my childhood. But really– our kids are still snacking on Halloween candy so the last thing they need is 25 more days of pressed chocolate squares. 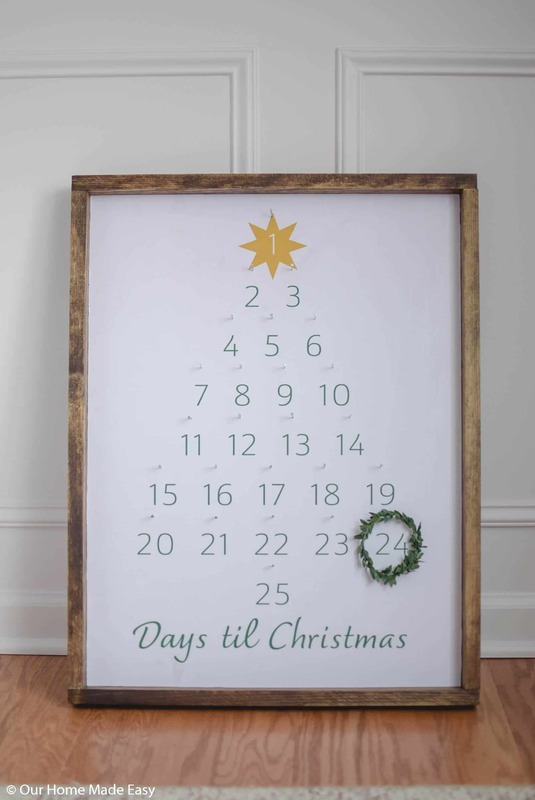 I told Jordan that he was right, we could use something to countdown the days til Christmas. However, between his work travel & our weekend shenanigans, it had to be something that we could make quickly. And here it is! 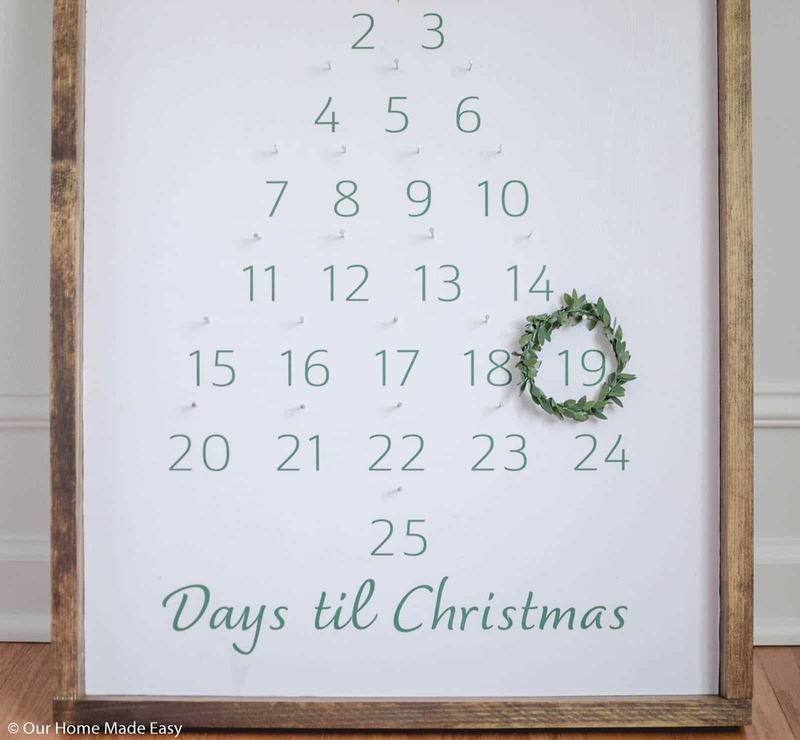 An easy DIY Advent Calendar! 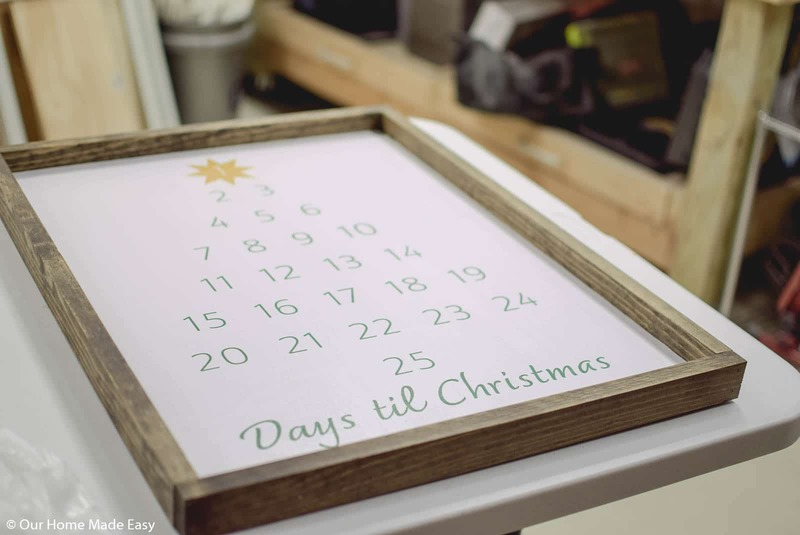 Need your own farmhouse style advent calendar but without a lot of work? Keep reading! 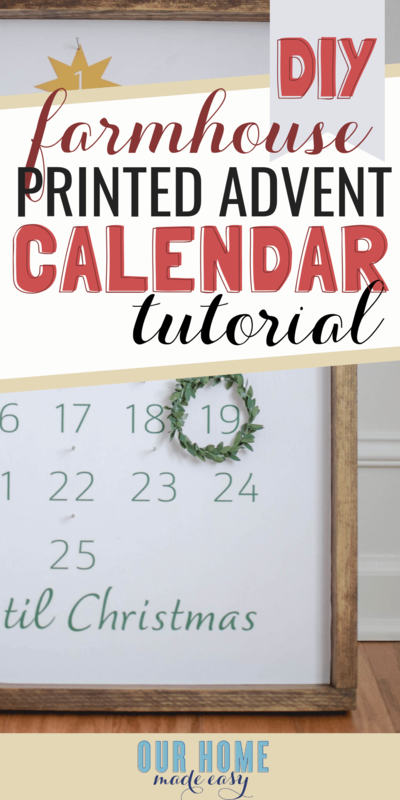 Open the pretty printable library and download the calendar print. 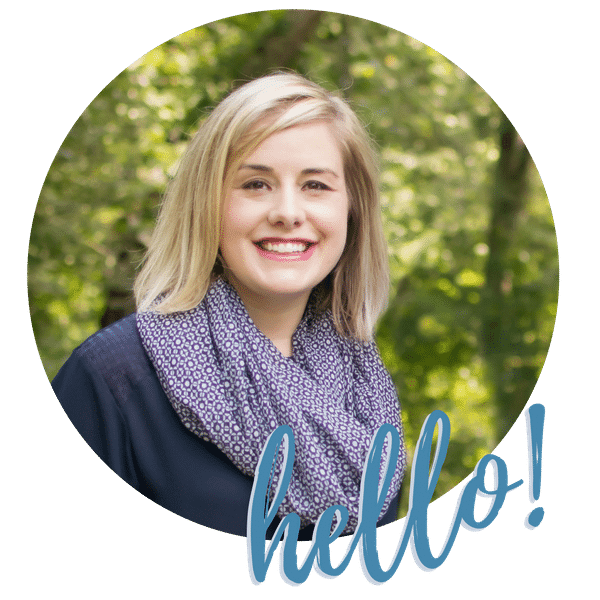 Upload your print to Office Depot or Staples. You can search for engineering prints, choose the 18″ x 24″ size, and print it off for about $2-3. 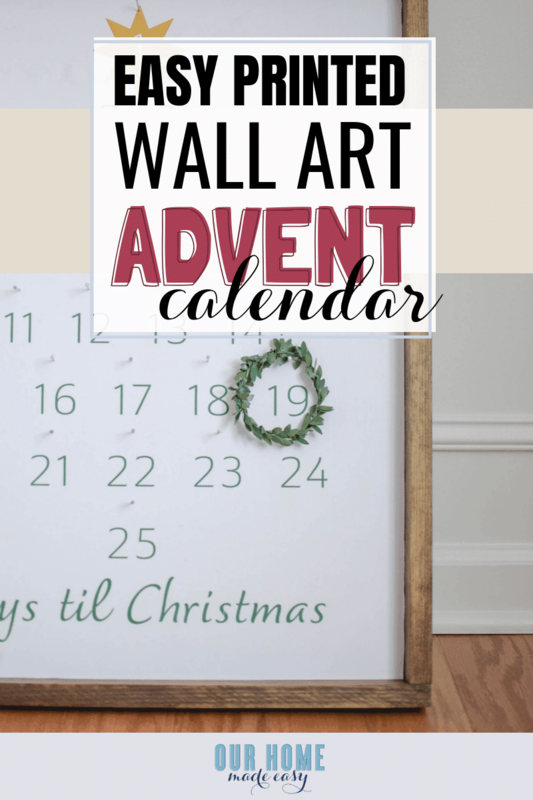 You can get access to the free advent calendar print at the very bottom of this post! 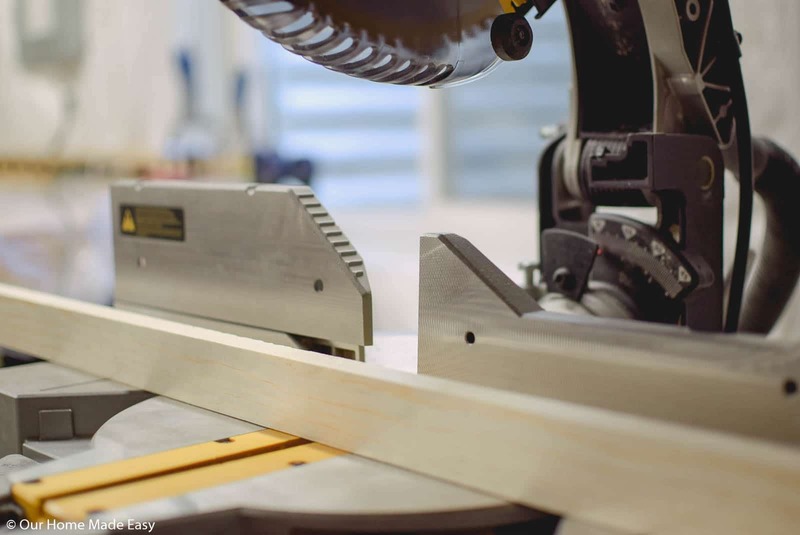 Using your miter saw, cut your common board into framing strips. 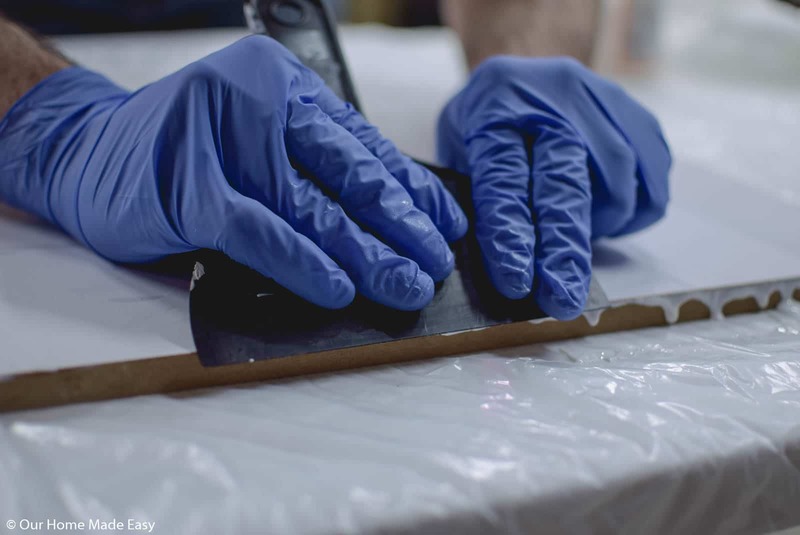 You will need to cut two strips 24” long and another two strips 19.5” long. Sand the edges down slightly. 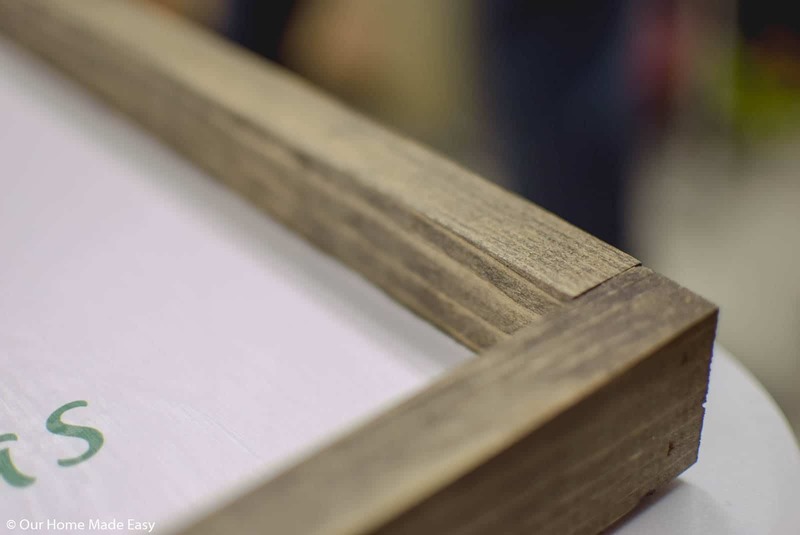 Once you have your frame pieces cute, stain them in your choice of color. 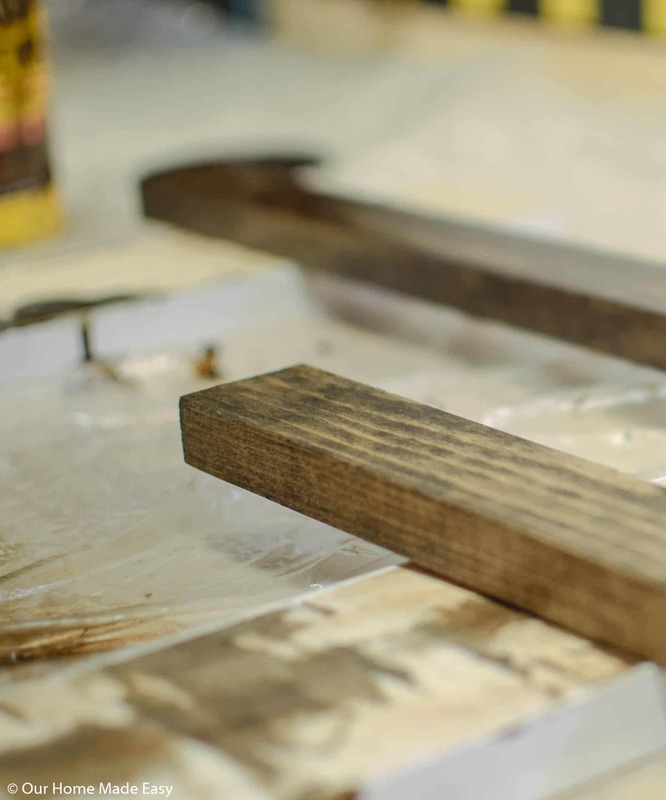 We always stick to Dark Walnut because of its a favorite around the house. But we’ve always liked Weathered Gray, Koana, or even Early American for projects. 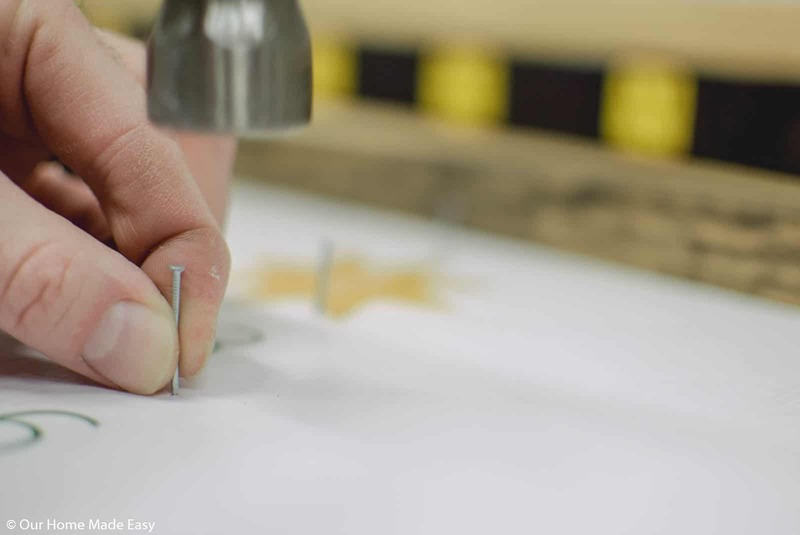 While your stain is drying, it’s time to glue your print to the MDF. 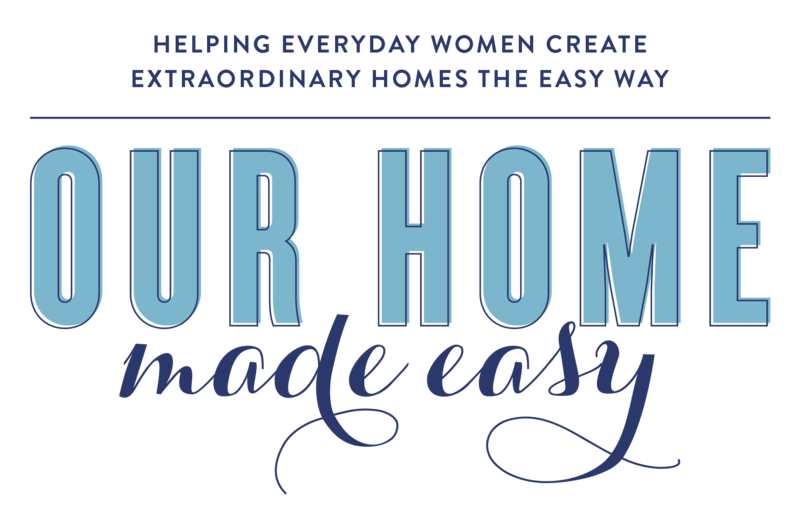 You’ll want to have your MDF cut to size at the store (its’ a free service). 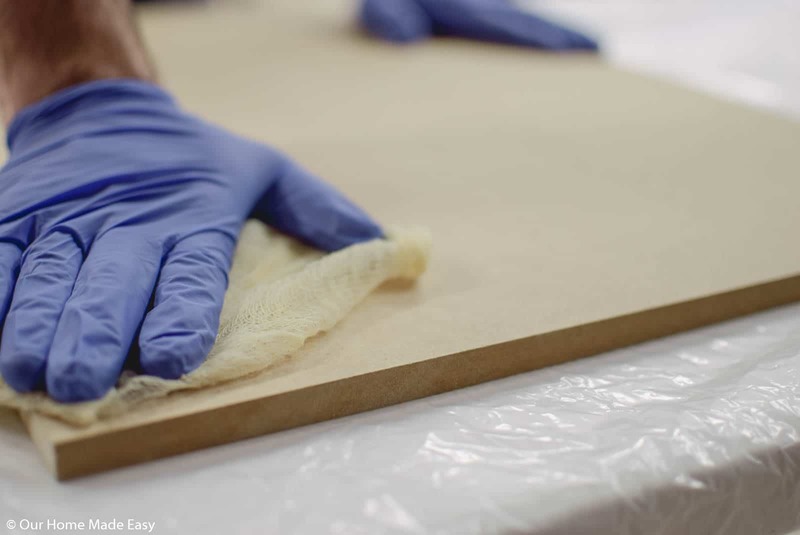 Wipe off any extra dust from the MDF before you start applying the Mod Podge. We followed this awesome tutorial on How to Mod Podge from Mod Podge Rocks. 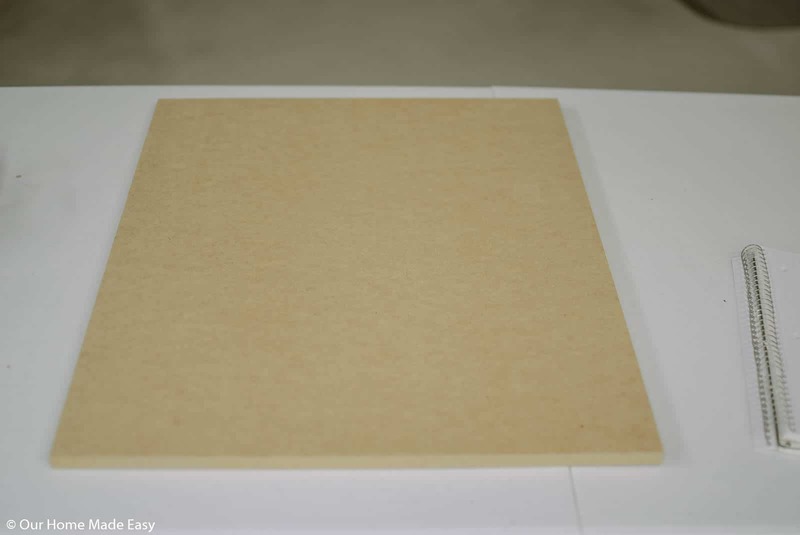 We laid a medium coat onto the MDF and then laid the paper on top of it. You’ll need an extra set of hands to help with this. 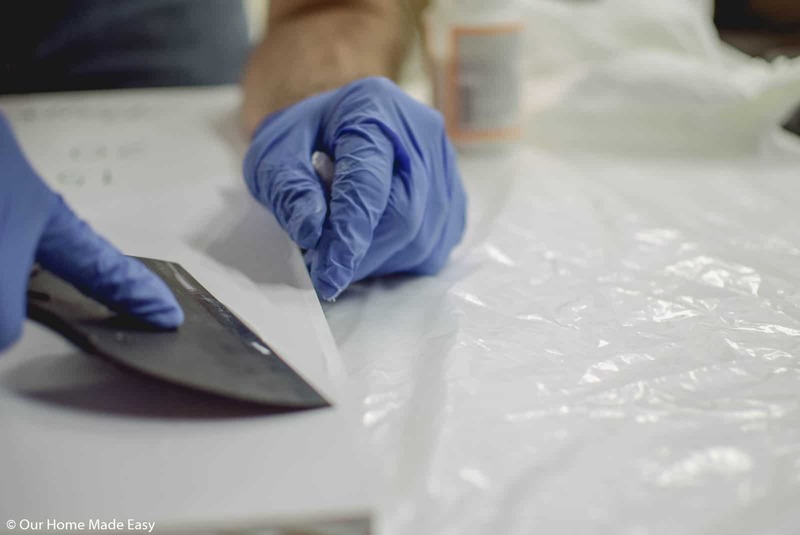 With a large plastic putty knife work out any bubbles and set the print in place. Let dry at least 60 minutes. There is no harm in letting it dry more. 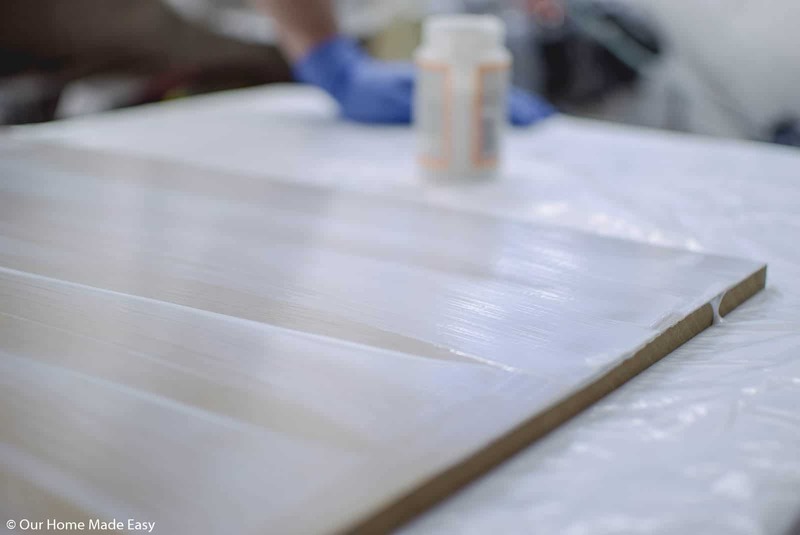 With small finish nails or a pneumatic finish nailer, 1.5 inches” and a little glue, attach the 24” long boards to the 24” sides of the MDF. 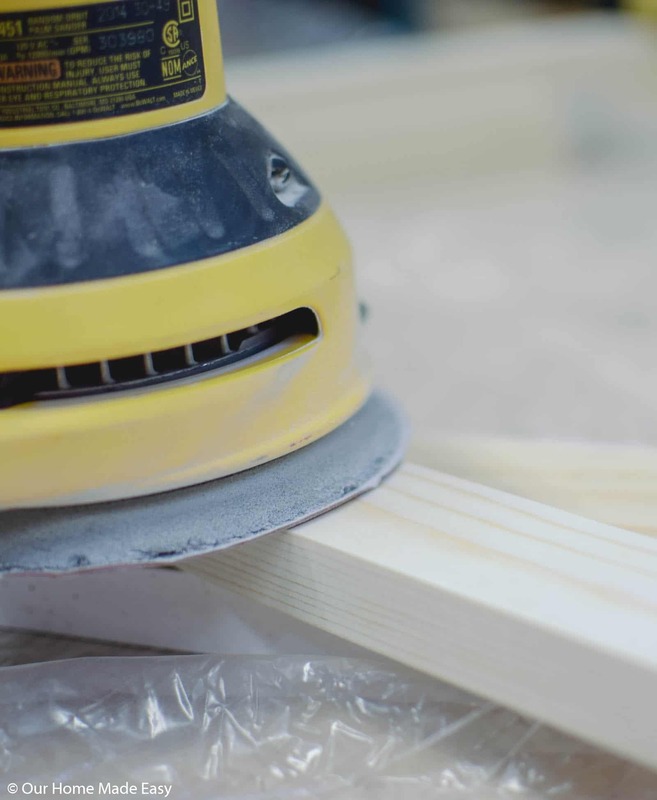 Make sure they are flush with the back of the MDF and are on their edge versus their face. Then attach the 19.5” boards to the top of the MDF with glue and finish nails. 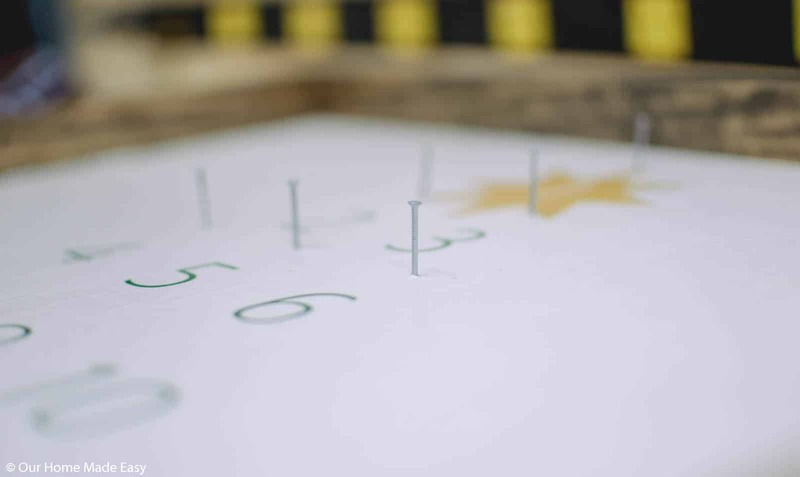 Next, you will take 1” brad nails and nail ¾” above the center of each number. Lastly, take a thin piece of garland, and make a circle. 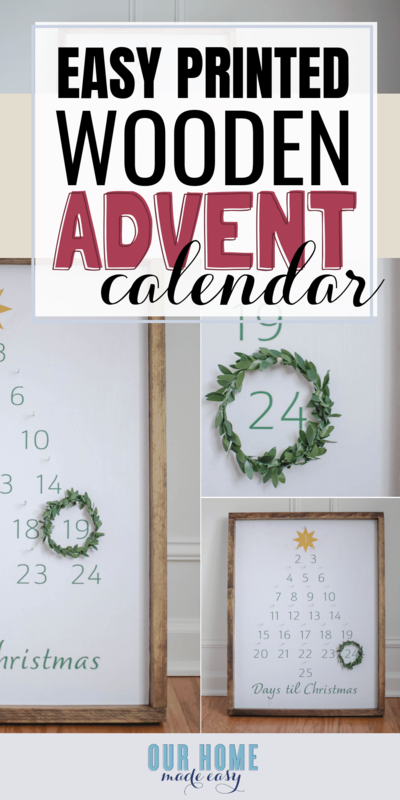 Use it to create your daily wreath! 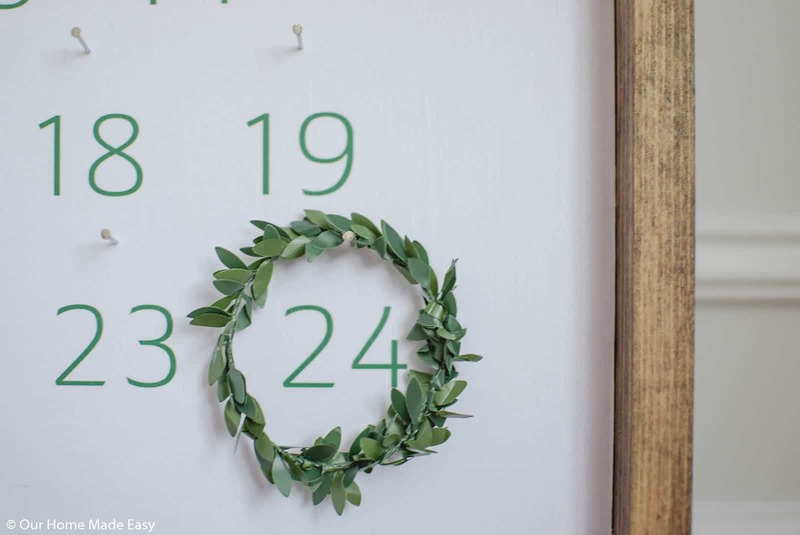 If you didn’t want greenery, you could use a thin piece of cranberry garland or even some jute rope. Whew, isn’t it such a pretty piece for just a few dollars? I loved how quickly we built it in an afternoon and how nice it turned out! You can build this too with just a few supplies. 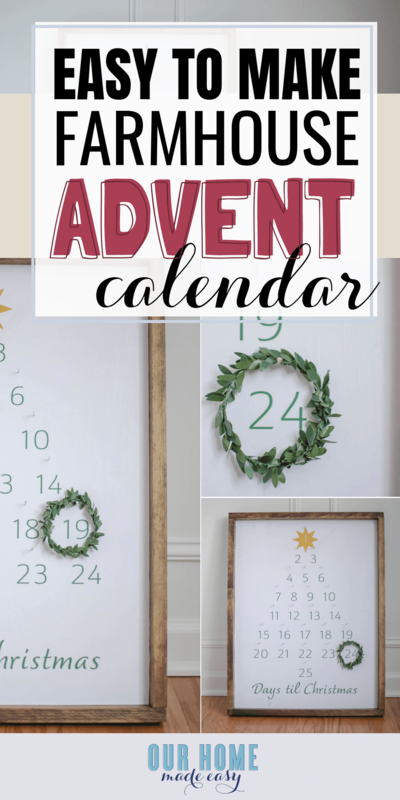 Don’t forget to download the free Advent calendar print today! 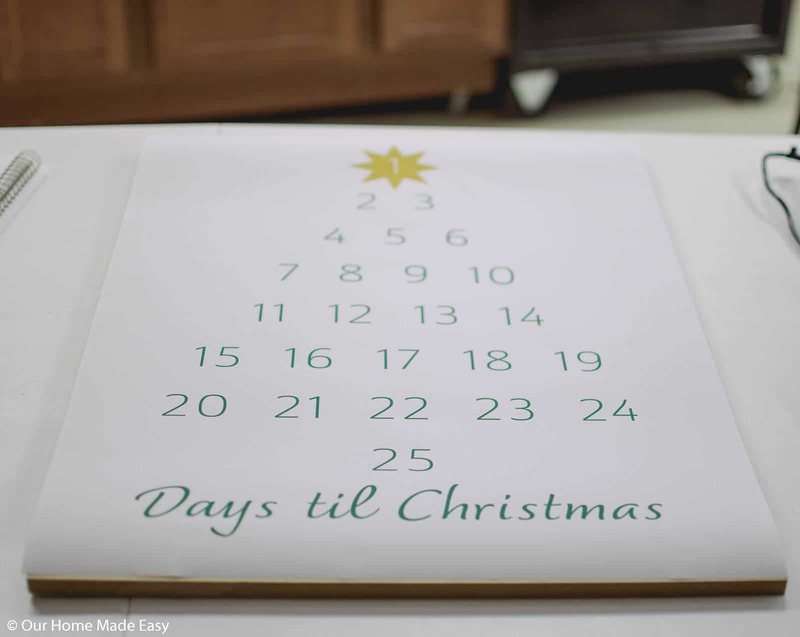 Get Your Free Advent Calendar Print Here!